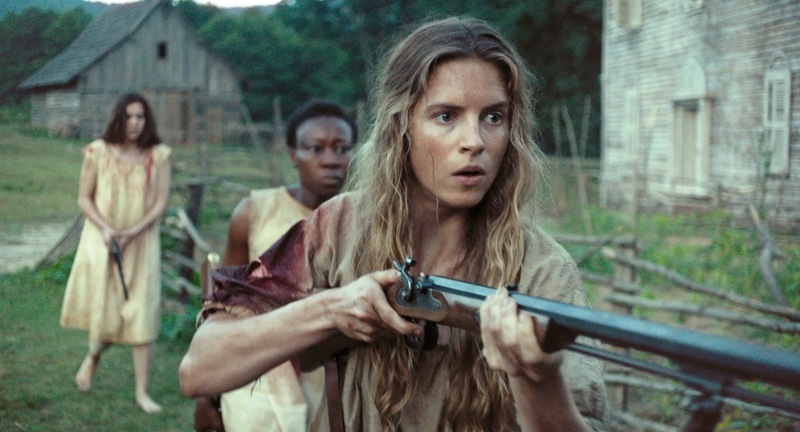 I missed "The Keeping Room" when it was an official selection of The Toronto International Film Festival (TIFF) last year, so was happy that the film was recently released and is presently screening at the TIFF Bell Lightbox. 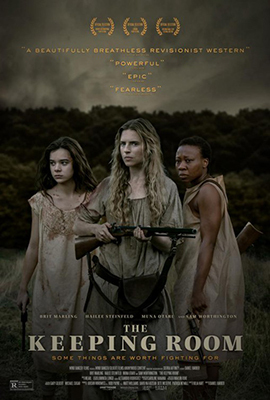 The film tells the story of three women (two white sisters and their black slave) defending themselves against rogue soldiers at the tale end of the American Civil War. I love westerns and was intrigued by the female perspective of this film, especially since it brought back memories of my university days writing papers about women in the US south during this time period. When the opportunity arose for a quick interview with screenwriter, Julia Hart, how could I resist? donna g: Could you please tell me more about your script being selected for the Black List in 2012? This is not an area that the average film-goer is familiar with. JULIA HART: A bunch of people in our industry - executives, producers etc... are asked to vote for their favourite unproduced screenplays each year and the scripts with the most votes end up on the Blacklist. The Blacklist is a wonderful organization and warm and inviting community of which I am truly honored to be a part. All the writers are just very supportive of each other's work and films and Franklin Leonard and Scott Myers are just the best. 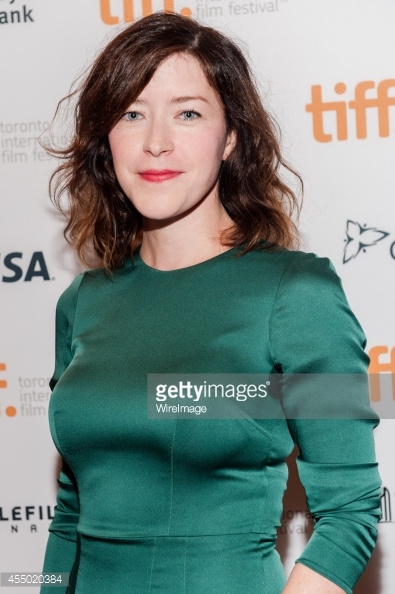 donna g: "The Keeping Room" premiered at TIFF '14. That's an awfully quick turnaround from screenplay to film festival screen. You must have felt as if you were caught up in a whirlwind! Julia H: I definitely did. I was teaching high school English when I wrote the script. I wrote it over my summer break and then it started going out to agents in October of that year and by June we had a director and a cast and I had quit my job. And now I'm writing full time, I directed my first feature and I have a baby. It's been quite a trip! donna g: Female-centred scripts with women as heroines are rare enough, but you've written one that's as rare as hen's teeth. Audiences are used to Scarlett O'Hara's Georgia, not your version that features two starving white women and their slave staving off "bummers". What triggered the writing of the script? 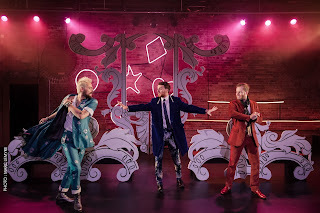 Julia H: I was sick of exactly what you say -- I wanted to see real women instead of damsels in distress and I think we're starting to see that other people want that too. There's definitely a shift happening in terms of the types of films that are getting made and the way that women are portrayed on screen and I'm just excited to be a part of it. donna g: In the film there is a line "we're all niggers now" . Given our era of political correctness, did you ever consider revising that line or were you ever pressured to rethink the line? Julia H: I think political correctness is an enemy to art. I think we have to ask ourselves is the character racist or is the artist? And if it's the character then it is an artistic depiction of a type of person from a certain place at a certain time. I think it's important to show racism and sexism in our art in order to expose it. That line is Augusta just completely misunderstanding her place in the world and the circumstances under which she's in. She thinks that her life is like Mad's life now, but it's not in the least and she learns that by the end of the film. donna g: These three women have had to redefine the social structure they were all raised with. Your script does an excellent job of showing us this new social order. 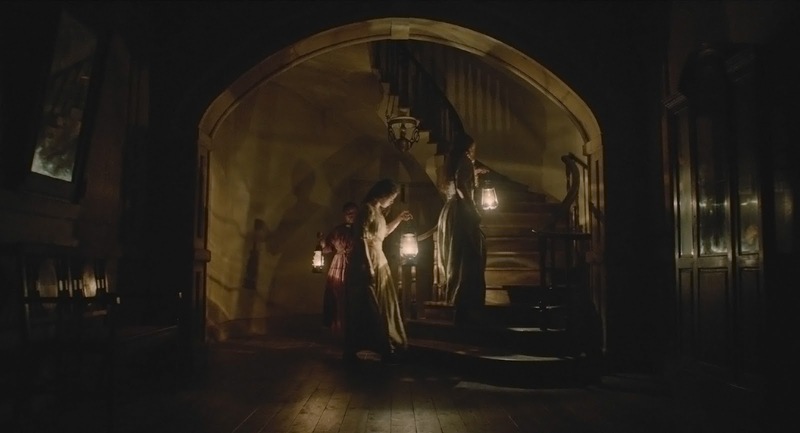 One of the scenes that brings this home for me is the one in which Augusta, a white woman and Mad, her slave, share a drink and talk as equals. Was this part of your original screenplay or was it added during the film stage? Julia H: That scene was in the very first draft of the script. I was actually inspired to write the film while sitting in a keeping room on a farm in Georgia drinking moonshine with some friends so that scene was one of the first scenes I found when I started writing the script. It was actually cut down quite a bit by the director -- there was a lot more of that scene that we shot that I love and miss when I watch the film. That scene is in many ways the heart of what I was trying to say about these women and I'm so glad it spoke to you. donna g: Will you be writing any more Westerns? There are so many untold stories about women and the American frontier. Julia H: I couldn't agree more! I actually happen to be writing one right now. I also happen to find a way to turn a lot of what I write into a western even if it's not technically a western. There is something so potent and connected for me about coming into your own as a woman (no matter where or when you are) and the myth of the American West and Manifest Destiny. 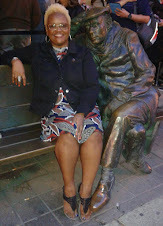 donna g: Thank you for taking the time to answer my questions and for sharing your thoughts. Julia H: Of course! Thank you for supporting the film.